Individual members are professionals in all fields related to delivery science and technology. Member affiliations include industry, academia, and government with areas of interest in bioactive materials, consumer & diversified products, and preclinical sciences & animal health. Individuals eligible for post-doc membership are post-doctoral fellows with areas of interest in bioactive materials, consumer & diversified products, and preclinical sciences & animal health. Individuals eligible for student membership are students with areas of interest in bioactive materials, consumer & diversified products, and preclinical sciences & animal health. Student membership requires verification of student status when joining/renewing. Emeritus status applies to individuals who have been CRS members in good standing (dues paying) for at least 10 years, who are retired from full-time employment, and who are at least 65 years of age. The emeritus status provides for a lifetime complimentary membership and emeritus members experience the same benefits as individual members. 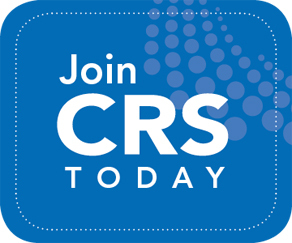 *To become an Emeritus member, please contact CRS member services. 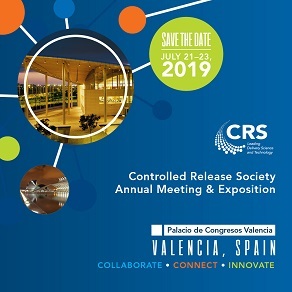 If you have questions or technical difficulties, please contact CRS member services at +1 856-380-6910 or by email at info@controlledreleasesociety.org. Office hours are 8:30 a.m. to 4:30 p.m. Eastern time (13:30 to 21:30 GMT), Monday through Friday.